ch’i’ rendo le bilance a san Michele. una festuca in mar rozz’e crudele. ché ‘l debito pagar non è presente. The Casa Buonarroti in Florence preserves a series of ground plans executed by Michelangelo for several fortifications of Florence in I529. These drawings, done in pen and bistre, are for the most part unpublished and perhaps have not, up to the present time, attracted sufficient attention from scholars.1l The authors of general works on the artist have treated only biographical facts, and have sought to give some psychological explanation for the sudden flight of Michelangelo from Florence during the siege of 1529. In monographs devoted to Michelangelo as architect, the activity of the artist as an architect of fortifications has been completely ignored. No special study dedicated to this series of drawings has yet appeared. These folios are, however, of considerable importance, both from the point of view of the development of thee architectural genius of the artist, of which they are a characteristic manifestation, and from the point of view of the history of fortifications in general, in which they mark a turning point. In the early part of 1529, disturbing news was received in the Republic of Florence concerning the plan of Pope Clement VII to restore, with the aid of the imperial army, the Medici, who had abandoned the city in 1527.Thereupon the Popular Government decided, upon the advice of Pietro Navarro, to perfect the unfinished fortifications of the city, begun under the reign of the Medici in 1526.15 A committee of defense, the Nove della Milizia, was established. Its mission was, according to Varchi, to “rassettare le mura, racconciare le torri, far bastioni, e finalemente fortificare quando e dovunque paresse loro che di bisogno facesse. Michelangelo was elected a member of this committee. Shortly there- after, on April 6, 1529, the Signori Dieci della Guerra, “judging it necessary to resist the imminent dangers that were appearing daily from the frequent assaults of the barbarians, named Michelangelo “General Governor and Procurator of the fortifications of Florence.” He was appointed for the term of one year, at the salary of one gold florin a day; up to this appointment the artist had worked gratis as a member of the Nove. This position was given to him “in consideration of (his)virtue and discipline. The Republic of Florence evinced this confidence in Michelangelo, despite the fact that he had formerly been in the service of the Medici, since there was no doubt of his republican loyalty and it was known that he was descended from an ancient Guelph family. Furthermore, in choosing him, they recognized his qualities as a specialist in fortifications.21 The artist accepted the new position and went to Ferrara early in August, 1529, in order to study the fortifications -there, which were considered at that time to be the most perfect and the most modern.22 The siege of Florence began October 12, 1529, under the direction of the Prince of Orange. The imperial army, approaching from the south, surrounded in a semicircle the hills of the left bank of the Arno. The siege continued for eleven months, during which time the population of the Republic defended itself courageously until the betrayal of Malatesta Baglioni, Governor General of the city. Benedetto Varchi gives the most precise information concerning the construction of fortifications under the supervision of Michelangelo. We learn from him that Michelan- gelo seems to have begun the fortifications in the southern part of the city by surrounding Monte San Miniato with a wall, beginning at the Porta di San Miniato and returning to it. He made two bastions (puntoni) in the garden of San Miniato at the west side, one bastion near the church of St. Francis (today called San Salvatore) and a similar bastion next to the Campanile of San Miniato. He constructed another bastion by the wall between the Porta di San Miniato and the Porta di San Giorgio. This bastion was known as the Bastione della Fonte alla Ginevera. A large bastion was erected just outside the walls of the city, between the Porta di San Giorgio and the Porta San Piero Gattolini. A long bastion was erected within the walls of the city, between the same two gates. Above the Pitti garden was created a cavaliere (high bastion). A fortification was raised between S. Piero Gattolini and Porta San Friano near the church of the Camaldoli. A bastion was erected near the church of San Donato. Another one was raised to protect the Porticciola del Prato. A bastion was erected near the church of Santa Caterina between the Porta di Faenza and the Porta di San Gallo. A fortification was raised between Porta a Pinti and Porta alla Croce near the Palagetto de’Guardi. One fortification was outside the Porta alla Giustizia. The last was erected on the Prato d’Ognissanti. 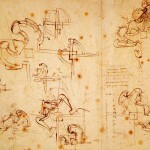 The first problem is to determine the positions for which Michelangelo intended these drawings now in the Casa Buonarroti. For four of them there is no difficulty, since the artist himself has given us precise indications. Two of these four were made for the Prato d’Ognis- santi, one for the Porta alla Giustizia, and the fourth for the Porta al Prato. Since these drawings are the most complex and most highly developed in conception of the series, we shall discuss them after dispensing with the others. 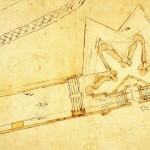 Projects made probablyfor the Porta di San Miniato: There are several drawings bearing no explanatory indications which are certainly plans for fortifications by Michelangelo for the gates of Florence. It is impossible to determine the exact position for which the projects were intended. Varchi says that each of the city’s gates was fortified by a bastion, and there were at that time eleven gates. Contemporary views and maps which give in- formation concerning the form of these gates show that they were not fortified according to the plans of Michelangelo; they are, in fact, represented with the old tower as unfortified. Without any doubt, three of the drawings (Figs. 6, 7, and 8 ) were executed for the forti- fication of the same gate. In all three, the form of the gate and the wall is identical. In each instance the gate has two buttresses, and the wall running from the gate on each side is straight and is pierced on the right and left sides by gun emplacements in the form of a half-niche. In spite of the differences in detail, the fundamental idea in all three drawings remains the same. There is an opening in the most advanced part of the bastion, protected in each instance by an inner wall facing this opening within the bastion itself; in the opening the artist places the drawbridge. The lateral walls of the bastion in these three sketches become increasingly complicated; straight walls become curved ones. These three projects were certainly among the early efforts of the artist to draw plans for the fortifications of the city, because in the simplicity of their geometrical form they are still close to traditional types of bastions. Varchi says Michelangelo began his fortifications in the south of the city at the Porta di San Miniato. The wall of ancient Florence at this gate is straight (as are also the walls in these three drawings). 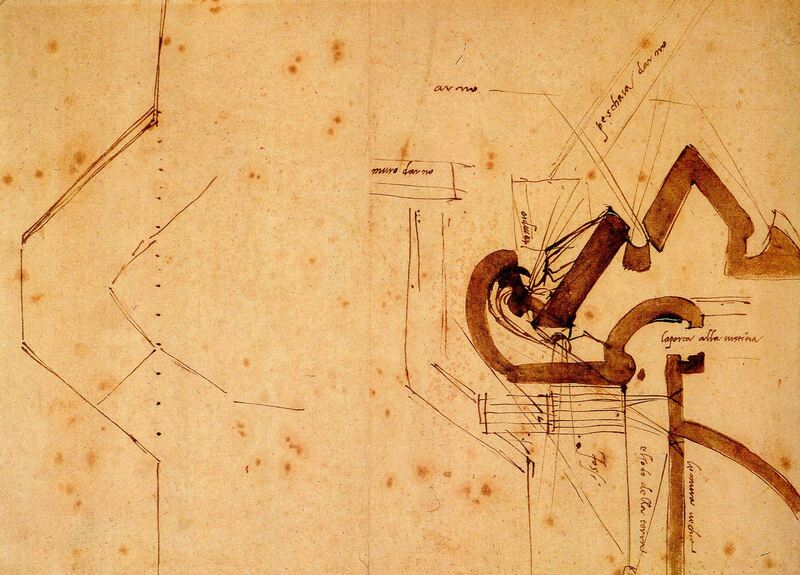 Hence there exists the possibility that these drawings might have been made for the Porta di San Miniato. In direct relation with the last of these three drawings (Fig. 8) are two other folios (Figs. 9 and 10). They were doubtless executed at the same time, for they show the same division of the lateral walls of the bastion in three curved ramparts on each side. Further- more, there is a sketch (at the left in Fig. 9) in which the form of the gate with its two buttresses, the form of the wall with its two lateral gun emplacements in the form of a niche, and the position of the drawbridge in its relation to the axis of the gate, are almost the same as in the three drawings that we have tentatively identified with the Porta di San Miniato. The essential difference between the three folios relating to San Miniato and the sketches of these two folios (Figs. 9 and 10) is that in the latter, the artist has omitted the opening in the bastion and has replaced it by a pointed rampart (puntone). 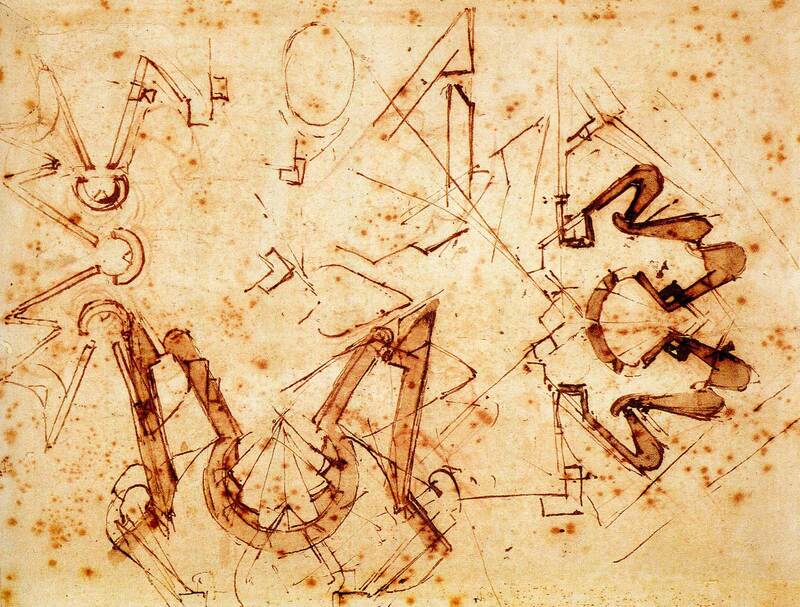 This arrangement had already been sketched by Michelangelo (see Fig. 8, upper left). 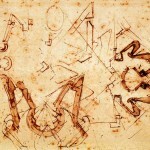 The sketch in the upper center of Figure io shows a bastion almost identical with the bastion in Figure 9. In the former, however, the bastion is at the angle of the walls, from which we may conclude that this sketch applies rather to the Porta di San Piero Gattolini (no. 139 on Bonsignori’s map), the only gate in the south part of the city which has a similar arrangement. Three projects for undetermined gates: Three other folios (Figs. 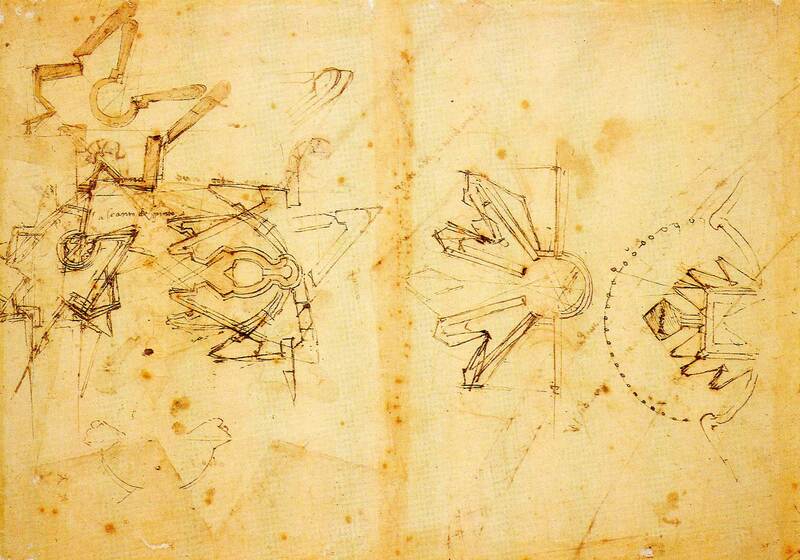 I I, 12, and 13) showing rather simple plans must also be placed among Michelangelo’s early sketches for the fortifications of the gates of Florence. Consequently these must be for the three gates in the south side of the city which have not been discussed up to now, namely Porta di S. Friano, Porta di S. Giorgio, and Porta a S. Niccolo. It is impossible to say which sketch is intended for which gate. The drawing in Figure I I recalls, because of its diagonal walls, what was probably the first drawing for San Miniato (Fig. 6), and seems, further, because of its simplicity, to have been executed prior to the one for San Miniato. But it is not one of the group pre- sumably destined for San Miniato, because the form of the gate is different, and instead of one drawbridge there are two, one to the left and one to the right of the bastion, and none on the axis of the gate. 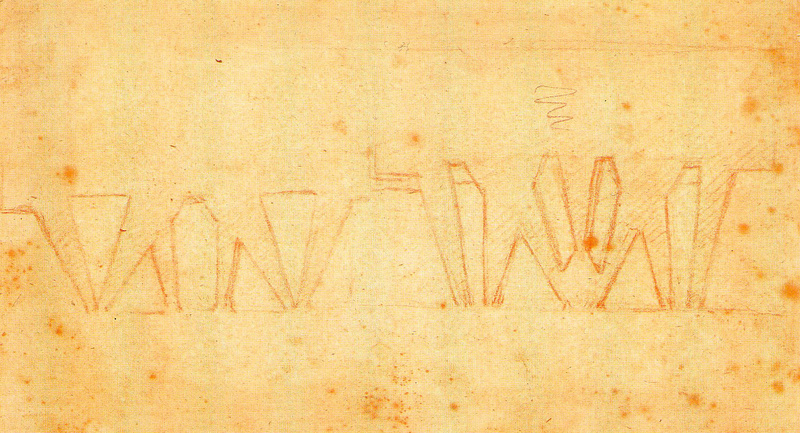 This curious disposition of the drawbridges may lead us to conclude that this sketch is a first idea of the drawing on the right side of Figure 9 where the bridges are placed in a similar position. There is some analogy between Figure 12 and the second drawing for San Miniato (Fig. 7). We find in these two sketches the same diagonal ramparts which end in scrolls on both sides of the bastion. However, the plan of the gate and of the walls is different from that found in the sketches for San Miniato, and thus we must suppose that Figure 12 was intended for one of the other three gates which we have mentioned. The third drawing (Fig. 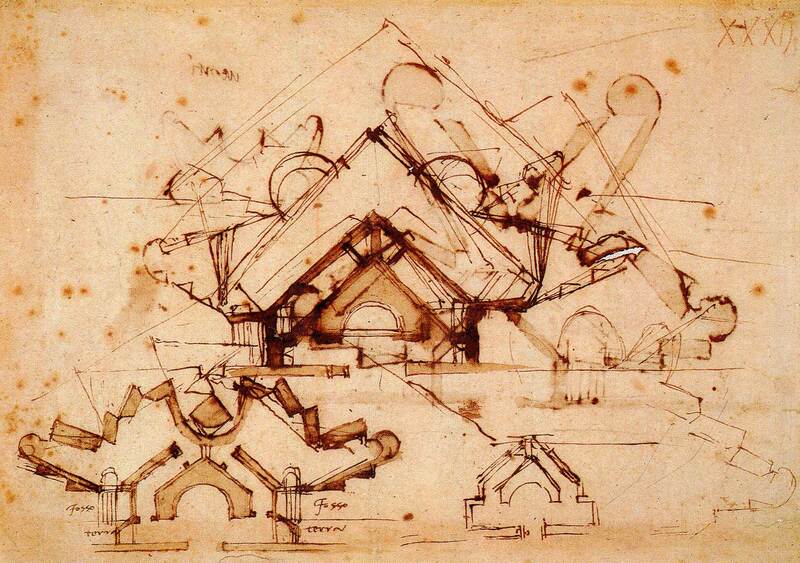 13) was inspired by the same idea as the third probable sketch for San Miniato (Fig. 8). The lateral walls are divided into three curved ramparts, and the drawbridge is found on the axis of the gate. The difference is simply that the gate lacks the buttresses, and the wall does not have the gun emplacements in the form of a half-niche. After this final problematic sketch, we may now consider the drawings for which the artist himself has given us indications. Projects for the bastion of Prato d’Ognissanti: Varchi says: “He (Michelangelo) finally made, ofi the Prato d’Ognissanti, near the Tower of the Serpents, a marvelous bastion, and outside, in front of the Tower, they began to raise a quite bold cavaliere.”30 The position here indicated is precisely the angle of the city’s wall to the west, on the right bank of the Arno, near the original bed of the Mugnione river (see Bonsignori, no. 21). The direction of this little river was diverted in I526, and was made to empty into the Arno near the Porta alla Giustizia. Michelangelo had two different conceptions for the gate of Prato d’Ognissanti. The first version (Fig. 17) shows the Tower of the Serpents fortified by two orecchioni, in the middle of which is a semicircular wall reinforced by a pointed wall. 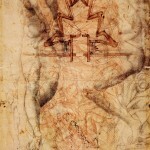 Michelangelo himself has indicated on this drawing the position of the Arno, the Mugnione, and the Prato d’Ognissanti. This sketch gives us the key by which we may determine the destination of three other folios that lack any definite inscription. We find in Figure i6 a sketch almost identical to that of Figure 17. 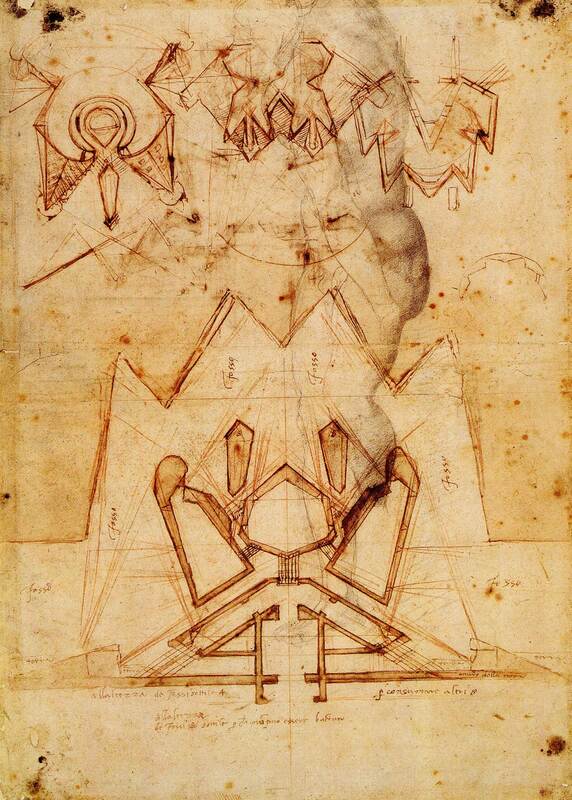 The slight differences are explained by the fact that this drawing shows the plan for the upper part of the fortification, whereas Figure 17 gives the plan for the lowest part, as the inscription of Michelangelo “sotto” and “disotto” indicates. The note by Michelangelo on Figure I6, “Mugnione,” is an inscription which leaves no doubt that this was a drawing for Prato d’Ognissanti. The second drawing is found in Figure i5 (upper right); it is not catalogued by Thode. The Tower of the Serpents, the walls at right angles, and the form of the bastion (with two orecchioni) indicate that it again refers to the Prato d’Ognissanti. It appears to be a preliminary sketch for Figure I7. 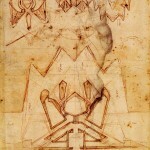 The third drawing of this group (Figure 14, lower left) also shows the Tower of the Serpents, with the walls at right angles, and seems also to be related to the plans for the fortifications of Prato d’Ognissanti. This latter sketch, however, appears even more hastily done than those already discussed, and would seem for this reason to have been the first drawing of this series. We may be equally certain of the second version for Prato d’Ognissanti because of inscriptions by the artist on one drawing of this group (Fig. 20). The bastion in this ver- sion is in the form of a star, but it remains similar to that of the first version by the dis- position of an opening between the two lateral wings. 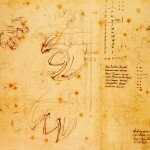 Figure 20 gives us a possible key by which we may determine the destination of two other drawings: one, Figure 19, bears in the upper left corner a preliminary sketch of Figure 20; the inscription “al canto del Prato” can only indicate the Prato d’Ognissanti. 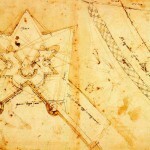 The second is Figure 18, where we find the preliminary sketches for this star-form of the bastion of Prato d’Ognissanti. 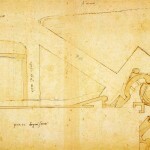 Projects for the bastion of Porta al Prato: Varchi says: “Outside the Porticciuola del Prato they made a very large bastion with a very deep moat and some casemates. The Porta al Prato is the first gate of the west wall on the right bank of the Arno (Bonsignori’s map, no. 133), just above the fortifications of Prato d’Ognissanti. Michelangelo, in his sketch for the Prato d’Ognissanti, Figure 20, indicated the position of this gate. Thereexists a large drawing, with inscriptions by Michelangelo, for the fortification of this gate by a bastion (Fig. 2I).33 This again is a fortification in the form of a star, similar to the sec- ond version of the fortification of Prato d’Ognissanti (Fig. 20). It differs from the latter in that it lacks the round wall in the center of the bastion, and presents a more complicated development of the lateral wings. 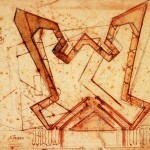 This sketch further indicates that Figure 24 must also be considered a plan for the Porta al Prato, for its bastion is almost identical in form. The reverse side of the same folio (Fig. 25) contains a sketch (lower left corner) which seems to be another variant for the Porta al Prato. Hypothetically, we may place Figure 23 in relation to the Porta al Prato. The sketch is perhaps the first drawing for this gate. Figure 26 has a very complicated bastion, but its half-octagonal form of gate is almost identical with that of the Porta al Prato.34 Projectfor the Puntone della Porta alla Giustizia: Varchi says: “Outside of the Porta alla Giustizia there was a pointed bastion (puntone) which was made similar in form to a fortification.”35 The Porta alla Giustizia is located on the right bank of the Arno and is the first gate of the east wall of the city. This fortification was called at the end of the sixteenth century “Baluardo di Mogibello” (see Bonsignori’s map, no. 24). There is only one draw- ing by the artist for this puntone. It bears his inscription: “la Porta alla lustitia” (Fig. 22). The pointed bastion, in this drawing, is oriented in the direction of the Arno, and dominates strategically the opposite bank of the river. 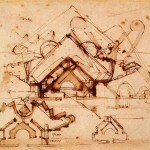 The series of sketches which we have discussed presents a development which proceeds from the simple to the complex in form, and from a geometric conception to an organic one. 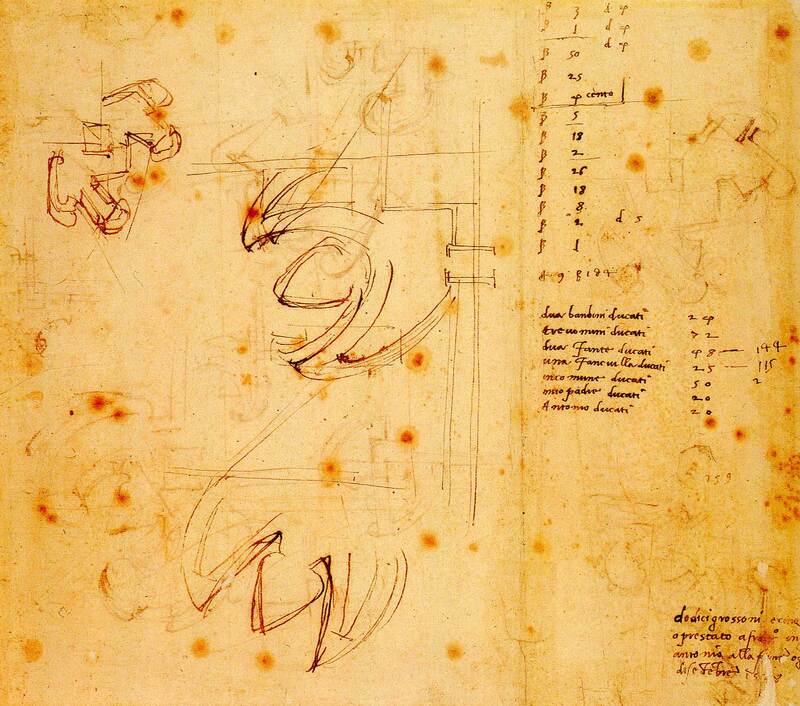 The sketches demonstrate that Michelangelo occupied himself with all the fortifica- tions of the city, as Varchi says, and not simply with the fortifications of San Miniato, as we have been led to believe by Condivi and Vasari. 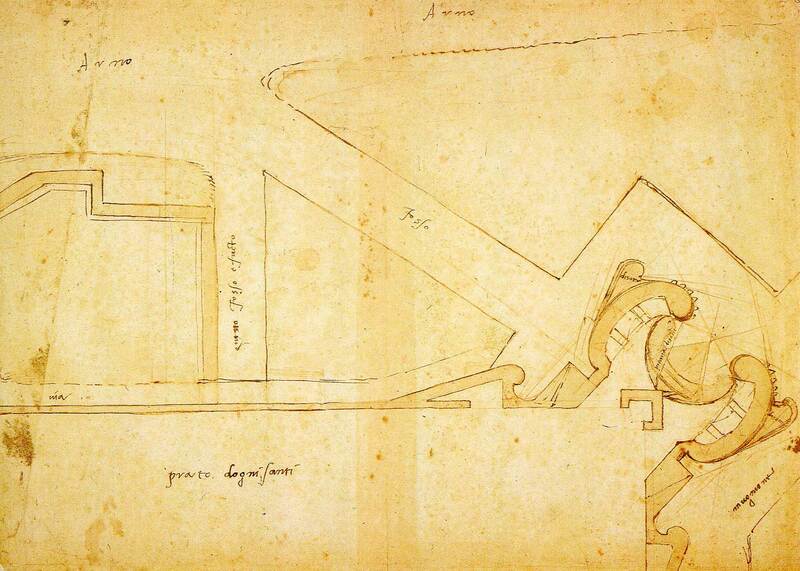 It seems that none of the fortifications was executed according to the drawings of the Casa Buonarroti.36 We know, in fact, from the correspondence of Busini that the Gon- faloniere Niccolo Capponi disagreed with Michelangelo about his plans. In any case, none of the bastions designed by Michelangelo is in existence today. Varchi says: “Near the church of San Miniato whre was and is yet rofcampanile, the there was a bastion. The walls in this place are extant today, but the bastion seems to have been destroyed by Duke Cosimo I, who restored the fortifications of Florence. The earliest bastions were erected in the middle of the fifteenth century, at the timewhen artillery began to use gun powder and thus reduced the effectiveness of the ancient fortifications. The new bastions were distinguished from the old towers by the fact that the walls were built in diagonal form, thus diminishing the danger of cannon fire. Examples of this disposition of bastions are found in the school of the Tuscan masters of fortifications before Michelangelo, such as those of Antonio da San Gallo in Leghorn ( I55), those of Antonio da San Gallo the Younger for Civitavecchia (I515) and later for the Fortezza del Basso of Florence (I534), and those for Perugia (Fig. 28). These fortifications were conceived simply as defensive arrangements. They were always designed in a purely geometric form of a polygon. They consisted of bastions at the corners and sometimes in the center of walls which continued in a straight line between them, and they were sur- rounded by moats to protect the base of the walls. 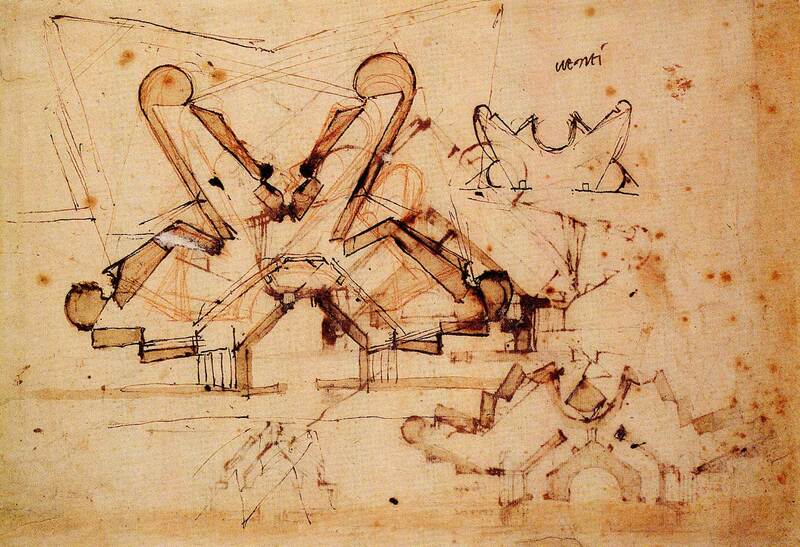 Michelangelo’s new conception consisted of this: the bastions were for him not simply defensive ramparts, but were also considered as centers of attack. Michelangelo’s vision was purely dynamic. In order to lessen the offensive power of the enemy, he constructed curved and diagonal walls, and in order to give to these bastions an offensive character he divided the walls into a series of curved ramparts, in the intervals of which he set gun emplacements. These complicated systems were practically unapproachable, for the enemy, in approaching, was in danger of being surrounded. The contemporaries of the artist recognized that the novelty of the new bastions in Florence consisted in “too many ramparts” and “too many gun positions”; but they unjustly criticized these inventions of Michelangelo. 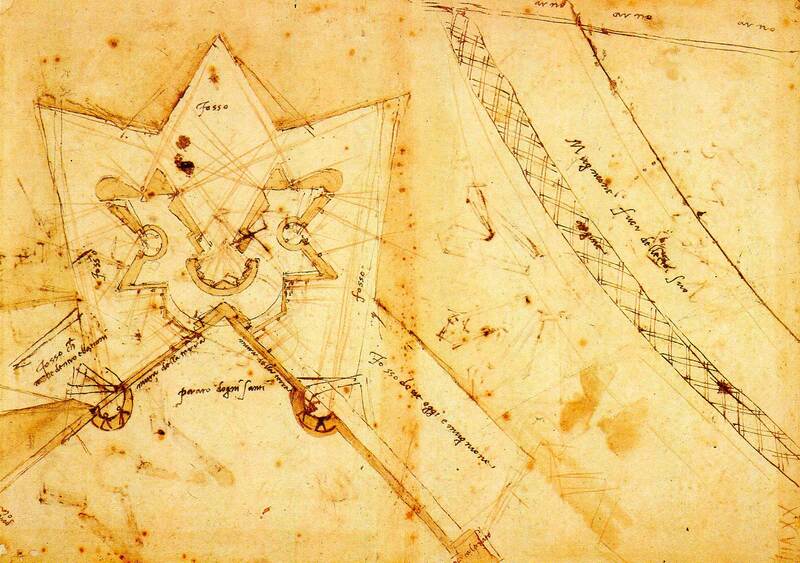 From the point of view of military effectiveness, the projects of Michelangelo seem to be the most perfect fortification plans of the sixteenth century. In fact, the possibility of a successful enemy attack was reduced to a minimum and at the same time a maximum of active defense was assured. There is no reason to be astonished that the greatest archi- tect of fortifications of the seventeenth century, Vauban, studied with admiration the fortifications of Florence by Michelangelo. But the military conception in these drawings is correlated with an eminently artistic spirit. They are bold emanations of a sculptor’s fantasy which considers edifices not as abstract geometric forms, but as concrete living organisms. In fact, Michelangelo, in one of his letters (Milanesi, p. 544), defined the principle of architecture as follows: “It is certain that the members (elements) of architecture depend upon the members of the human body. Whoever has not been or is not a good master of the body, and especially of anatomy, can understand nothing” (of architecture). 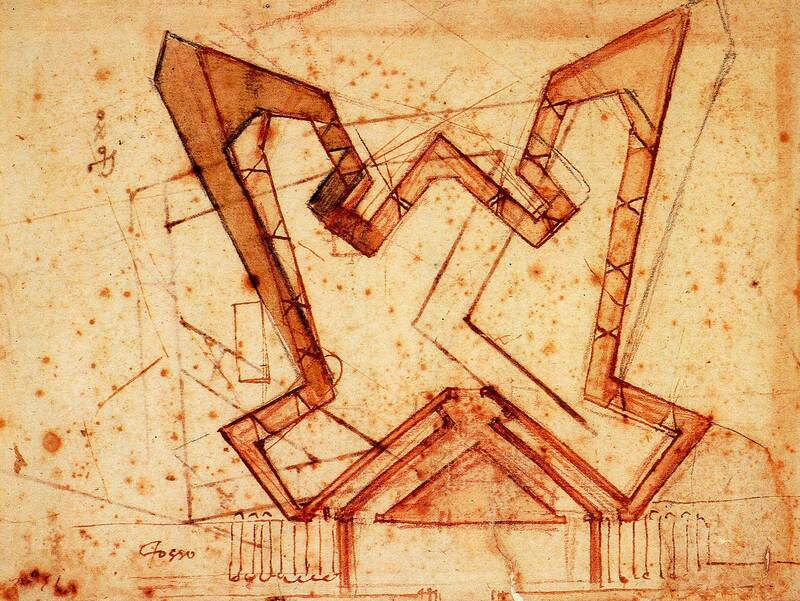 In the drawings of fortifications in the Casa Buonarroti, this organic principle is uppermost. However, instead of an anthropo- morphic inspiration (as pointed out in the above letter), we find a zoomorphic one. 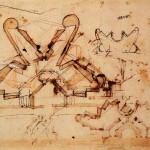 Thebastions in the drawings remind us of cross-sections of certain crustacea. 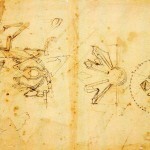 Several of these sketches in the shape of a star with their long antennae, and others in the form of orrechioni with their extended pincers, bear a relationship to cross-sections of the lobster and the crab. The forces which radiate from these bodies (gun fire) may be compared to the physiological functions of these animals. 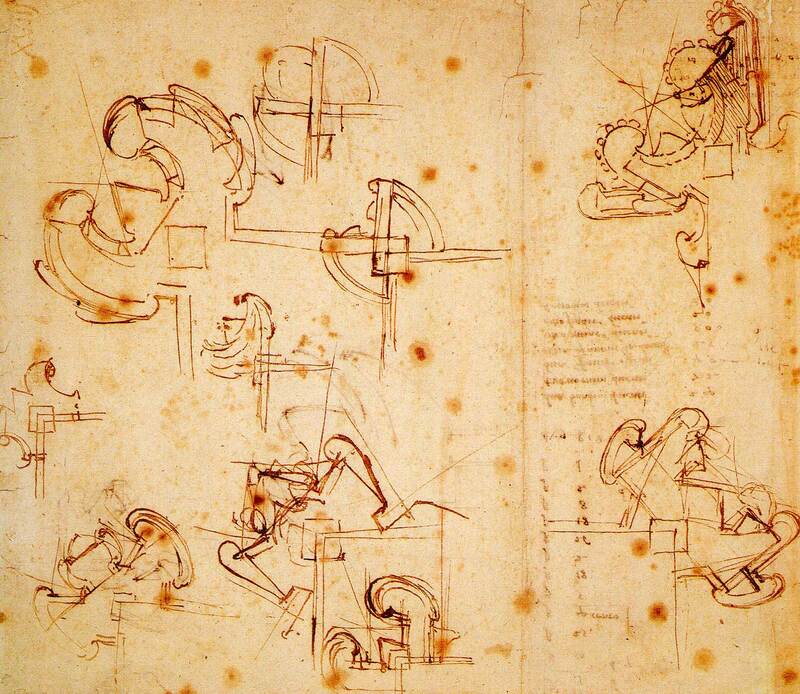 The importance of these drawings in the architectural development of Michelangelo resides in the fact that, although executed during his maturity, which was his first period of activity in architecture, he had already developed in them ideas which were to find their full realization only in his old age. Although their most important element is the mass of the walls, exemplified also in other architectural works of the same period (the fagade of San Lorenzo, the Medici Chapel, and the library of San Lorenzo), we find also that the artist considers here, for the first time, the positive value of the spaces between the walls. These spaces, conceived as expanding forces which penetrate and determine the form of the masses, received their greatest emphasis in the architectural drawings of his old age. 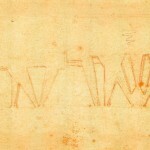 Furthermore, the technique of these sketches foreshadows the technique employed in the architectural drawings of his later period. 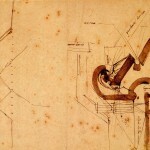 Up to this time he had sketched his ground plans simply with pen or chalk; here we see that he employed bistre for the first time in order to accentuate the plastic mass of the walls, as he did in his later period (e.g., the ground plans of the church of San Giovanni dei Fiorentini). In the manner of a sculptor, he models the walls as if they were of a malleable material. Thus they assume at times an ornamental aspect. The complicated star-like forms and the beautiful scrolls, which recall so much the broken gables of the Porta Pia, anticipate the ideas which he was to realize in his last period. Michelangelo received commissions to execute projects for fortifications several times later in his career. In 1535, he made projects for Civitavecchia. In 1545-46, 1547-48, and I56I, he busied himself with the fortifications of the Borgo in Rome. We do not intend here to treat in detail these later projects, but merely wish to point out the difference of conception of these later fortifications of Michelangelo from that of his earlier years. We should like to call attention to an unpublished sketch for a fortification preserved in the Vatican Library, probably intended for the Borgo. 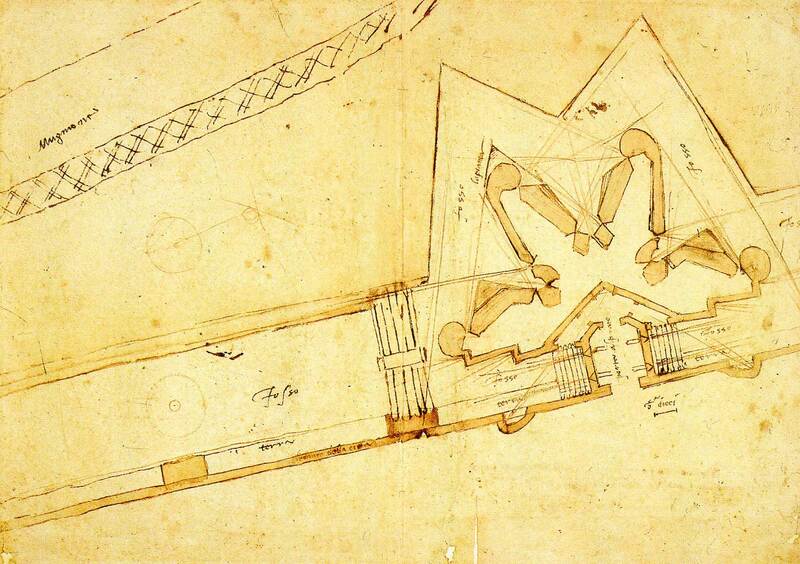 This sketch shows a fortification in the form of a star similar to Figure 23, although more regular in its shape than the drawings for Florence. Perhaps this new tendency towards regularity in the later period of the artist may be explained by the fact that his projects for Florence, extremely personal, were not easily realized; they were too costly and required too much time for execution. 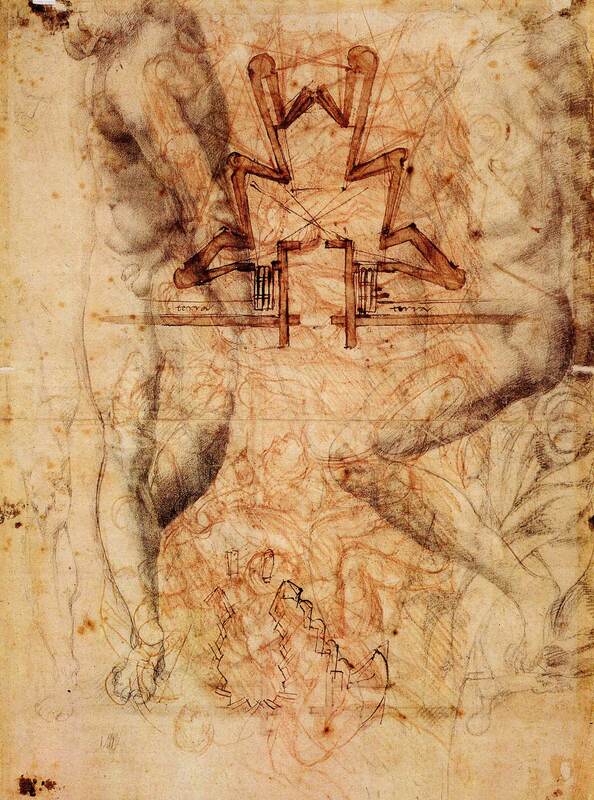 This last drawing would appear to be an effort on the part of Michelangelo to adapt his personal idea of fortifications to the practical requirements of execution. INSTITUTE FOR ADVANCED STUDY, PRINCETON, N. J.